This Brass Finished Replica comes complete with the scabbard. Holding this Fabled Excalibur Sword in your hand brings memories of Camelot to mind. This Sword is a beautiful conversation / decoration piece for your home or office. The famous Excalibur Sword of King Arthur! This Brass Finished Replica comes complete with the scabbard. Holding this Fabled Excalibur Sword in your hand brings memories of Camelot to mind. 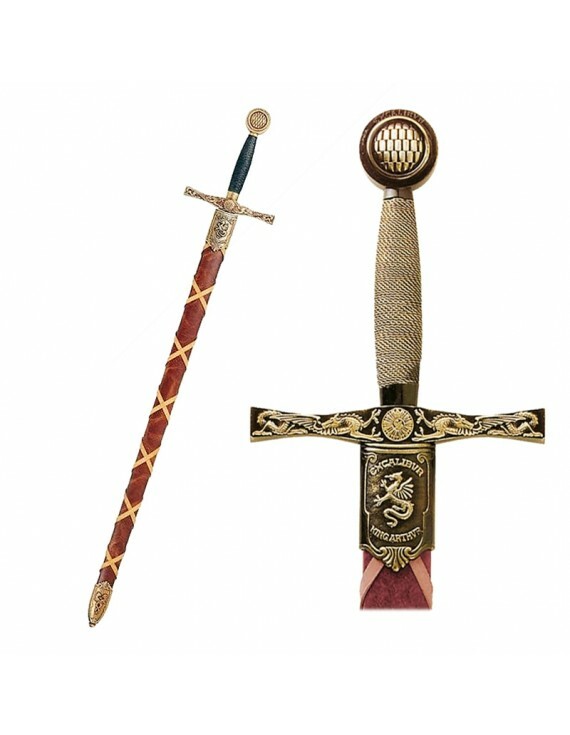 This Sword is a beautiful conversation / decoration piece for your home or office, available now at Classicblades.com.